Kevin Townley has been tearing his hair out trying to figure out Aorangi in recent months. 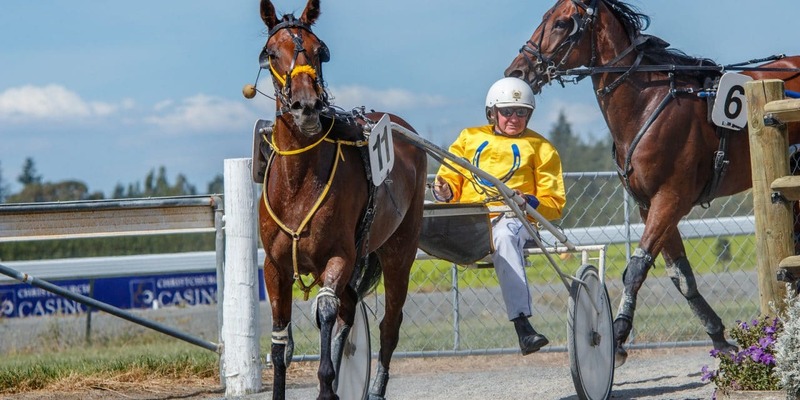 Aorangi is proving an incredibly frustrating horse and it’s fair to say the situation has become desperate heading into Sunday’s meeting at Waimate. The maiden trot is the best and perhaps last chance for the Peak colt to secure the win he needs to gain a start in the Trotting Derby in a fortnight. Should Aorangi once again lose the plot and go for a gallop at some stage, trainer Kevin Townley still has the Sires Stakes Prelude at Addington next week and a trek to Forbury Park as options. But the latter is not looking very appealing as it would probably be just another waste of time and the Addington race would be much more difficult to win. Aorangi would win Sunday’s race if he just trotted all the way, but that is something he hasn’t done in seven starts since he made his debut at Addington in early December, when Franco Josiah only just held him out by a neck. Blair Orange drove Aorangi on that occasion, then soon after committed to promising three-year-old Majestic Chevron, so Townley turned to Sam Ottley. But when Aorangi quite probably blew the Hambletonian at Ashburton when in front and travelling like a winner on the home turn, Townley took to driving Aorangi himself in an effort to get him sorted. “I drove him at Addington last time, but he galloped in the score up (behind the mobile) after getting too keen,” said Townley. “I keep trying new things with each race and now I’m resorting to putting the half hopples on for Sunday. “They’re a last resort and I hate using them but desperate means require desperate measures. “I’m not going to guarantee anything though because there’s really been no excuses or rhyme or reason for why he’s kept breaking in the past. The Hambletonian was actually the third occasion within four starts where Aorangi has blown a race all by himself. He was going to win at Oamaru the start before and at Orari a fortnight earlier, but broke when leading inside the last 100m on both occasions. In between on the grass at Rangiora, he had an excuse with the crossing, but that has been the only time that Townley could point to one. He has been sent out the favourite on most occasions so he has also been very frustrating for the punters, who will once again have their hearts in their mouths until he gets over the line at Waimate. Then there’s sympathy for breeder-owner Bill Bishop, whose had a long and successful association with Townley. Bishop has been going foal about from Scuffle with the late Cliff and now Sue Irvine since saving the mare from a very bad injury before she qualified. The Sundon daughter of Tussle has produced good trotters in De Gaulle, Mamselle, Spell and Mr Fahrenheit, but Aorangi is the best of them and still a maiden. “I think he’s shown that he can probably go with all of this season’s good three-year-old trotters outside of Enhance Your Calm, now that Oscar Bonavena has been sidelined. “I’m sure we’ll get him sorted eventually, but with the way things have been going, if it wasn’t for all these good races coming up, I would have just turned him out and started again.